Each year, the Kaiser Family Foundation and the Health Research & Educational Trust conduct a survey to examine employer-sponsored health benefit trends such as annual deductibles, plan enrollment, and health and wellness programs. The 2018 edition of this survey has been released, and it discusses a lot, including how health care costs continue to rise. One of the key findings of the survey was that the average cost of employer health coverage offered to workers rose 5 percent for a family plan in 2018, reaching nearly $20,000. For individual coverage, the average cost rose 3 percent from 2017 at just under $7,000. While it was predicted years ago that health care costs would continue to rise, the sticker shock can be hard to get past. Industry experts believe that an increase in the costs of health care services is the reason why insurance premiums are consistently increasingly expensive. How are employers combating rising costs? Many employers have sought out ways to offset the cost of rising health insurance premiums. One of the most common ways this is accomplished is through increasing annual deductibles. For 2018, the average annual deductible for single coverage was $1,573 and the average annual deductible for family coverage was $4,676. Another common way to reduce costs is to give employees the resources they need to become wiser health care consumers. 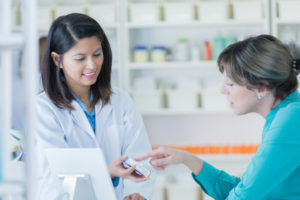 Helping employees learn how to use the right health care services and shop around whenever possible can help employers and employees spend less money on health care services. In September 2018, the Department of Labor (DOL) held listening sessions to help them gain insight into the public’s views on how to update and modernize the overtime rule. The final session wrapped on Sept. 24. While there is no official deadline announced, in their spring 2018 agenda, the DOL forecast that a new overtime regulation proposal may occur in the first quarter of 2019. Contact us today for your full copy of the Employer Health Benefits 2018 Annual Survey.